Elsa Minella Gordon - Edmonton's Burial & Cremation Professionals | Trinity Funeral Home Ltd.
On October 19th, 2016 Elsa Gordon passed away peacefully at the Dr. Gerald Zetter Care Centre at the age of 84 years. She is now peacefully at rest with our Lord and Savior Jesus Christ and will be dearly missed and lovingly remembered by all of her close friends and family. We will hold a Christian Celebration of Life for her on October 29th, 2016. Thinking of you today Grandma and everyday. Jj asks for you all the time and always says that he’s happy that you are in heaven with Jesus and you don’t have Alzheimer’s anymore. We love you so much. Watched some old videos of you, it was nice to hear your voice. 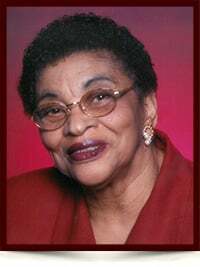 Mrs Elsa Gordon leaves behind wonderful memories for families and friends such as those excellent meals and gatherings. I came to know Elsa through the Hudson family and was happy to be invited to enjoy wonderful meals with your family.She was a lovely lady.|So sorry for your loss…a mother is the heart of the family. Rest in peace aunt Elsa, sleep on in sweet Jesus. May God grant comfort and peace to the family, in this most difficult time. Farewell! RIP You were so loved ?? ?